I’ve been reading through Steps to Christ again (for the hundredth time) lately and last week I noticed a word that kept popping up repeatedly. Intrigued by the thought, I decided to search how many times the word was used in the small book and the context in which it was used. What I discovered was fascinating. And critical. The word is “cannot,” and Ellen White uses it over and over and over again. It’s as though she is desperately seeking to help us understand something. So many times we think we can, but Ellen White wants us to understand that we cannot. What is it that she wants us to understand we cannot do? Check these out (and look them up for yourself so you can see the full context; the page numbers are in the parentheses). It’s like a broken record – especially the idea that we cannot “change our hearts,” which she says three times! Do we get it (and this doesn’t even take into account other phrases she uses that are of a kindred nature, like “It is impossible for us, of ourselves, to escape from the pit of sin in which we are sunken” [p. 18])? Do we understand that we are completely powerless – in and of ourselves – to do anything good? That we can’t save ourselves, fix ourselves, change ourselves, even give God our affections! This tells me, among other things, that simply telling people what to do is not enough – because simply telling them what to do does not give them the ability and moral strength to accomplish it. They will simply become better informed sinners. What we thus need is someone else to do it for us. We need someone to obey for us, to make us holy, to produce love in our hearts. Indeed, we need someone else to change our hearts – since we cannot do any of these things ourselves. That someone is, of course, Jesus. This second quote is just one of many from that classic book that explains it like this. The point of it all is that when we recognize our inability and cling to Christ, receiving His pardoning grace, it changes our filthy hearts, and those things we once found impossible to do in our own strength become very possible by the grace of God. But this can only happen when we first recognize what we cannot do – indeed, when we first recognize the utter impossibility of doing any of these things of ourselves. Amen! Great reminder, because as humans we keep trying, thinking there MUST be something I need to do, only to fail and feel defeated. And of course we are putting our energies in the wrong place, self. Self will not accomplish anything towards righteousness. The only hope is in HIM. Thanks again for your insights and how you break it down. Be blessed! Sometimes I feel such a failure in my walk with God, especially when I have done a terrible wrong. I appreciate this blog post, it came at the right time; and what an encouragement it is to me to know that I can be hidden in Christ’s righteousness! I need to re-read STC, it has been awhile…Thanks again! Your analysis of the “we cannot” DO this or that goes contrary to all that we are taught. Thanks Shawn for pointing this out, that we are totally bankrupt in and of ourselves. I’m going to keep “we cannot” study! 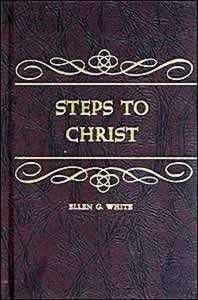 What is Ellen White’s emphasis? Faith, hope, and love over a ratio of 4 to 1. And LOVE has precedence overwhelmingly. “And now faith, hope, love, these three, but the greatest of these is LOVE” (1 Cor. 1:13). I have found the following letter by Ellen White most encouraging (Remarks at the Bible School, Battle Creek, Michigan, Feb. 3, 1890). My brethren, I am laboring most earnestly day and night. My mind is traveling. Things are constantly being revived to my mind that have been revealed in times past, all the way along. I feel such a burden pressing and urging upon me that I cannot keep my tongue silent. Now, we have talked it, and we have urged it, and we have set it before you, and begged and pleaded and prayed and wrestled with all the strength of our being, until we have felt afterward–after the occasion was over–the whole being was so feeble that my breath might stop and my life end at any time. … I know there have been efforts–a contrary influence–to throw back the light, the light which God has been forcing in here upon us in regard to the righteousness of Christ; …. 1. Ellen White is laboring, burdened, urging, begging, pleading. 2. Because there was a contrary influence amongst the leadership. 3. The contrary influence was opposed to the light [message of Jones and Waggoner] and accepting the righteousness of Christ. 4. She was then laying down the conditions of salvation. 5. There are no conditions except by faith alone. 6. That faith condition is by accepting the merits of the blood of a crucified and risen Saviour. 7. We are “drawn” by Jesus’ cross. (Faith working by love). 8. When drawn by Jesus, it IS NOT “Now you have got to respond in order to come to God. (This is simply stating in my other studies that its not the hope of reward or the fear of hell, but the love revealed at Calvary in a PERSON. 9. We see the law, that He paid the penalty for, we see our utter sinfulness and helplessness. 10. Oh, but what glorious love, Christ elevated upon the cross of Calvary (John 12:32; 2 Cor. 5:13-21). The Jews came to Christ and said, “What shall we do, that we may work the works of God” Jesus answered and said to them, “This is the work of God, that you believe in Him whom He sent” (John 6:28, 29). Jesus had been tried, found innocent, and condemned to death. He was condemned for being the Son of God, the Jews crying out, “We have a law, and by our law He ought to die, because He made Himself the Son of God;” and yet the law itself was full of statements of God’s care of them as sons, and of declarations that He wished to be their Father, and have them act toward Him as sons. Jesus was condemned for being what all ought to have been and were not” (Waggoner on the Gospel of John). Oh what love the Father has bestowed upon us! Thank you for such important info. Knowledge certainly will increase in the last days. I’m learning to keep my eyes on Jesus. And Donnell, isn’t that the most wonderful thing to learn? Learning to look to him, the author and finisher of our faith! I had a horrendous childhood and by age 6 went to bed every night asking God to stop it all. When that didn’t work. I asked that my father be removed. When that prayer went unanswered, I asked that He let me die. Every single night. Then I decided I didn’t pray right. I would clench my teeth. Nothing. I would flex all my muscles. Nothing. I would stand beneath a lovely path in a painting hanging in my parents dining room and close my eyes and pray that when I opened them, I would be walking on that path too. Nothing. Eventually, I realized that I had to be good. I learned about it in Sunday School. So I made every effort to be the most perfect child my parents could ever have (sorta). I was going to be kind to my brothers and sister. I was going to do well in school. “Many are inquiring, “How am I to make the surrender of myself to God?” You desire to give yourself to Him, but you are weak in moral power, in slavery to doubt, and controlled by the habits of your life of sin. Your promises and resolutions are like ropes of sand. You cannot control your thoughts, your impulses, your affections. The knowledge of your broken promises and forfeited pledges weakens your confidence in your own sincerity, and causes you to feel that God cannot accept you; but you need not despair. What you need to understand is the true force of the will….Everything depends on the right action of the will….You cannot change your heart, you cannot of yourself give to God its affections; but you can choose to serve Him. You can give Him your will; He will then work in you to will and to do according to His good pleasure. Thus your whole nature will be brought under the control of the Spirit of Christ; your affections will be centered upon Him, your thoughts will be in harmony with Him. Desires for goodness and holiness are right as far as they go; but if you stop here, they will avail nothing…. I can’t tell you how long I cried after reading that section. It was my experience. And the only thing that God promised me as a child is that it was His responsibility to lead me to the answer. I am so, so, glad He keeps His promises.